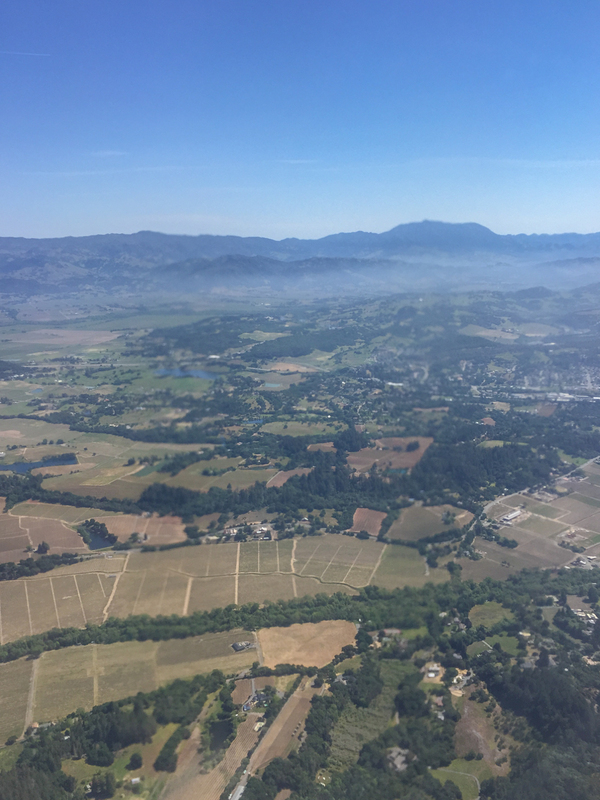 On approach to the Santa Rosa Airport on a typical Sonoma County day. Morning coastal fog still burning off. 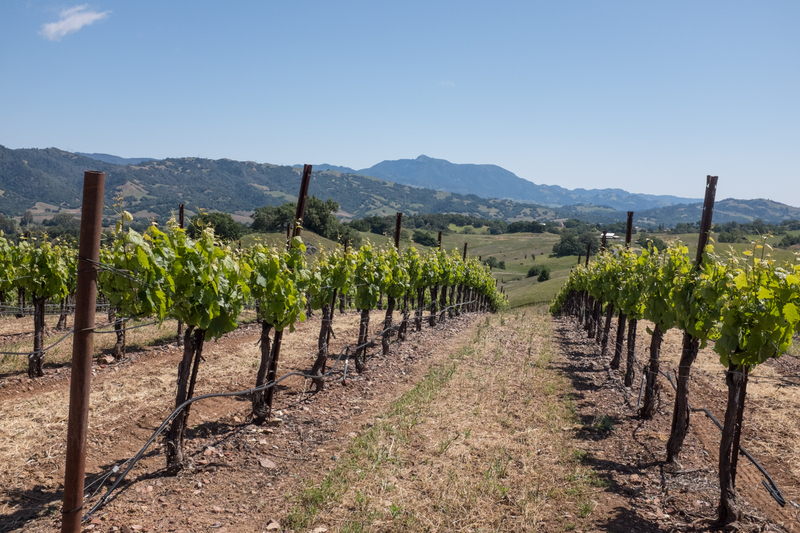 The climate, helped by fresh ocean breezes, results in thriving vineyards. 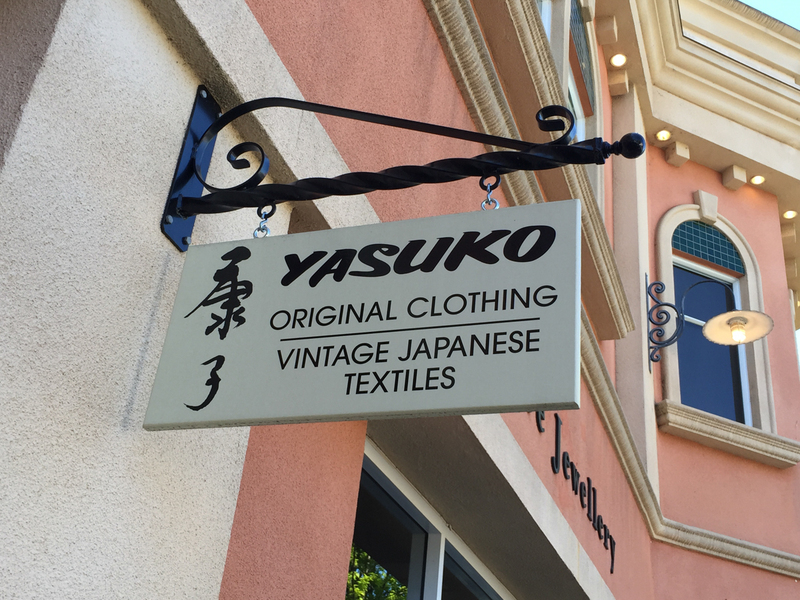 Not so long ago, Healdsburg, California was a sleepy town on the banks of the Russian River on the north end of Sonoma County. 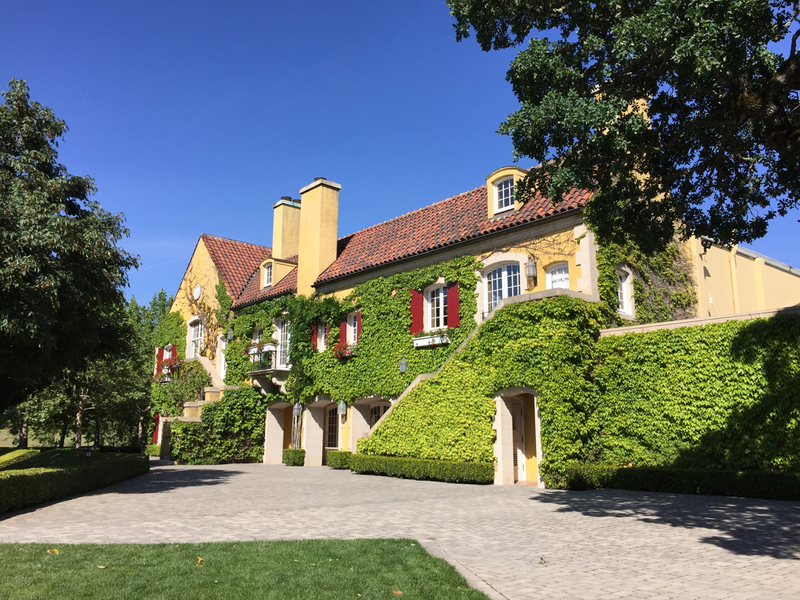 A few wineries like Italian Swiss Colony, Seghesio and Korbel were familiar names but more winemaking was happening over the hill in the Napa Valley, which has gained global fame. 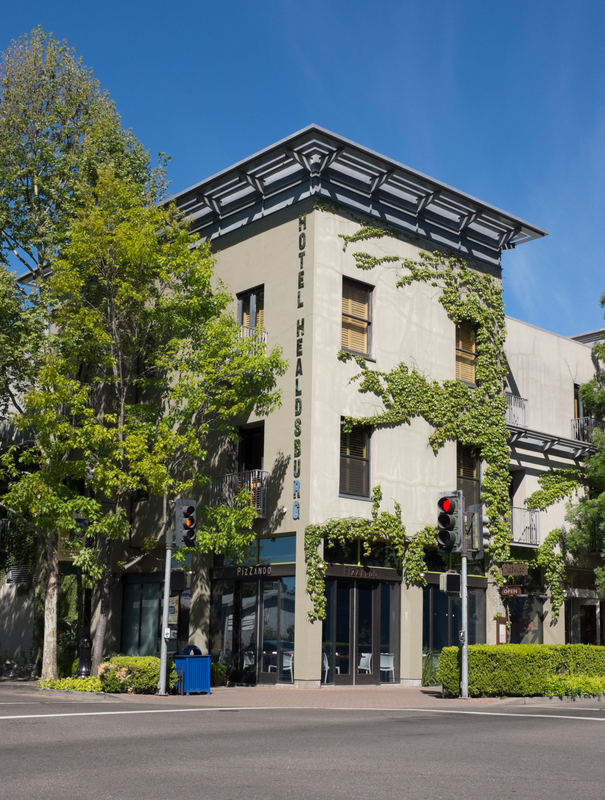 The chic and comfortable Hotel Healdsburg was designed to fit into the Town Square area. 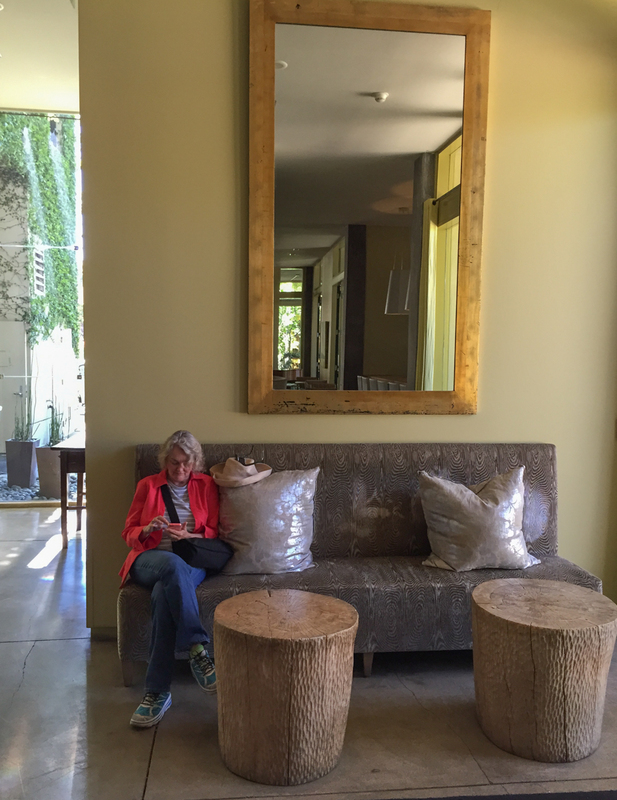 Easy to relax anywhere in the lobby and adjacent lounge in the Healdsburg Hotel. Not so much anymore. Healdsburg and vicinity have arrived. 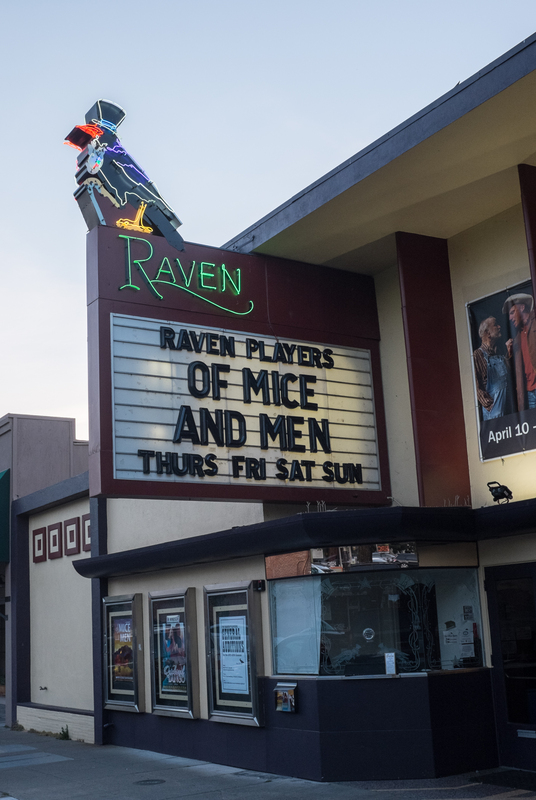 The town itself now boasts a world-class hotel in the chic Hotel Healdsburg and a stable of top restaurants like Charlie Palmer’s Dry Creek Kitchen, Spoonbar, the newish Valette and others. 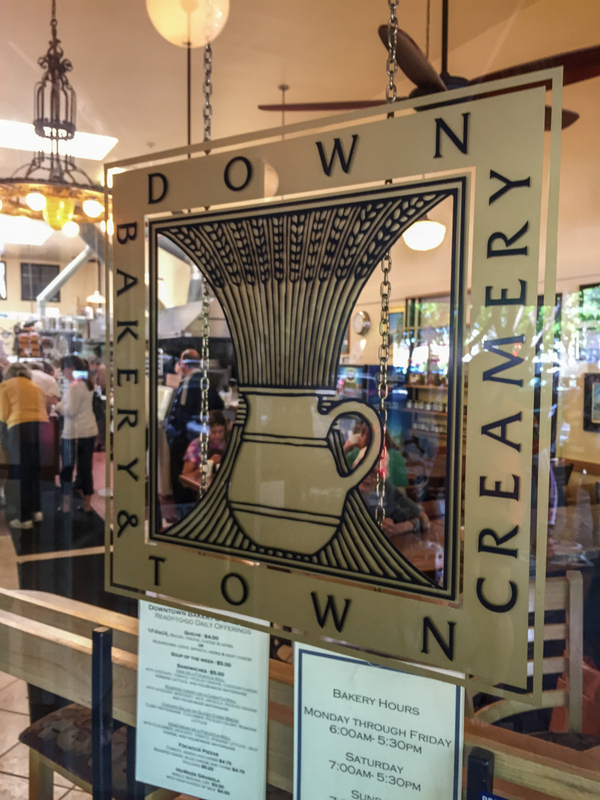 With a tree-covered Norman Rockwell-ish town square (free Wi-Fi) surrounded by an old-timey bakery, a gourmet ice cream shop, art galleries, chic clothing and unique furnishing shops such as The Shed, Healdsburg is hosting international visitors without the traffic jams and tasting room crowding sometimes found elsewhere in the region. 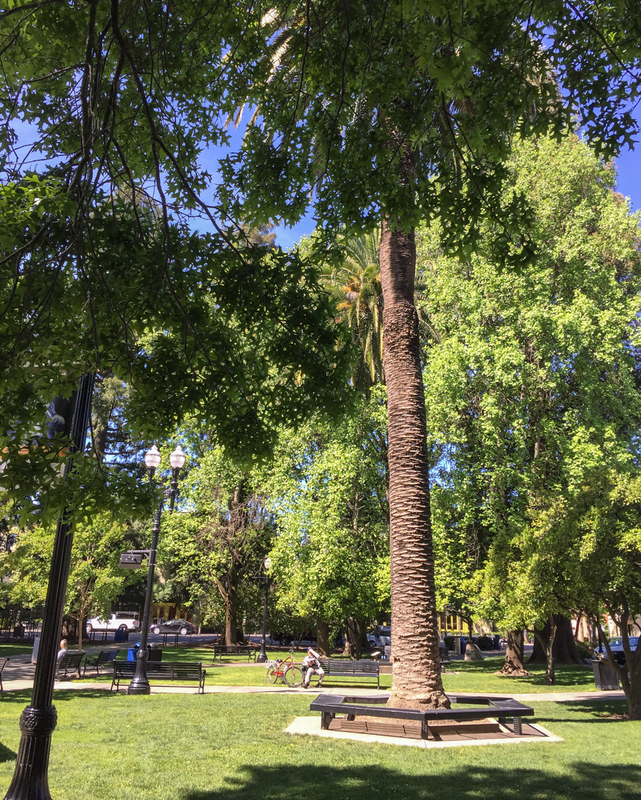 At the Hotel Healdsburg we experienced a very comfortable stay and were impressed with the range of guests, from young families with dogs (the hotel is pet-friendly) to older folks savoring the peace and quiet of the Sonoma wine country. 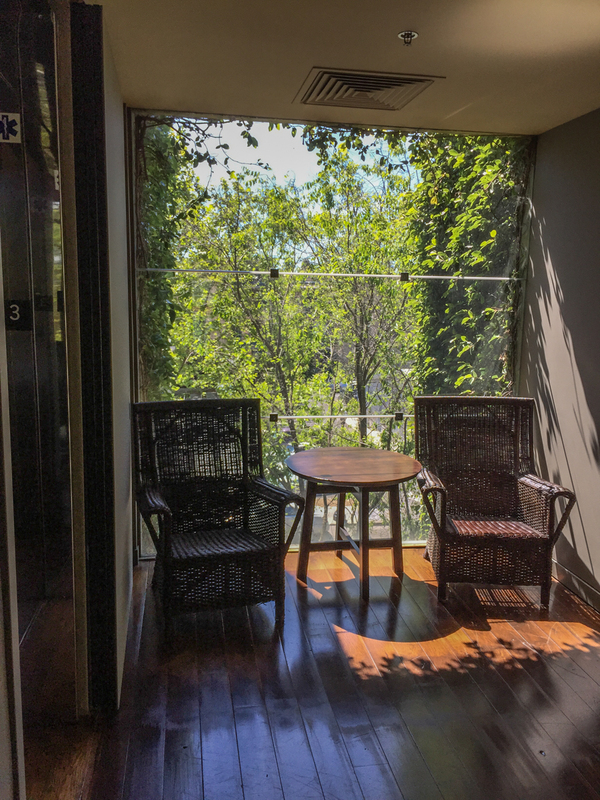 The hotel was designed to fit well with the rest of the town square area and the rooms are spacious and well-appointed. Breakfasts at the hotel are a casual affair in the spacious lobby bar area, complete with made-to-order omelet and waffle stations and an array of fresh fruits and bakery products. 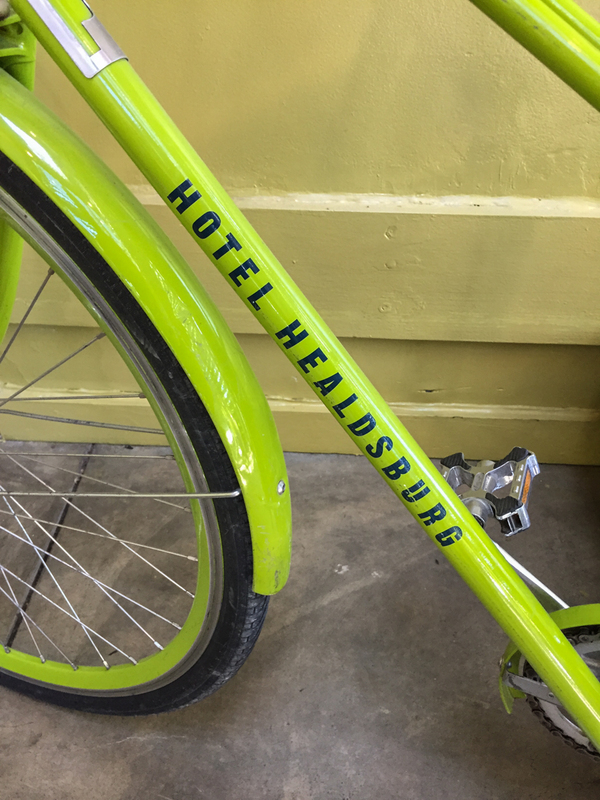 Bicycles are provided by the hotel and, with a location right on the square, stores and restaurants are an easy, enjoyable stroll nearby. The Spa is another amenity offered by the hotel, with an excellent staff and an outstanding array of body and beauty products, some with local Meyer lemon and sage ingredients. 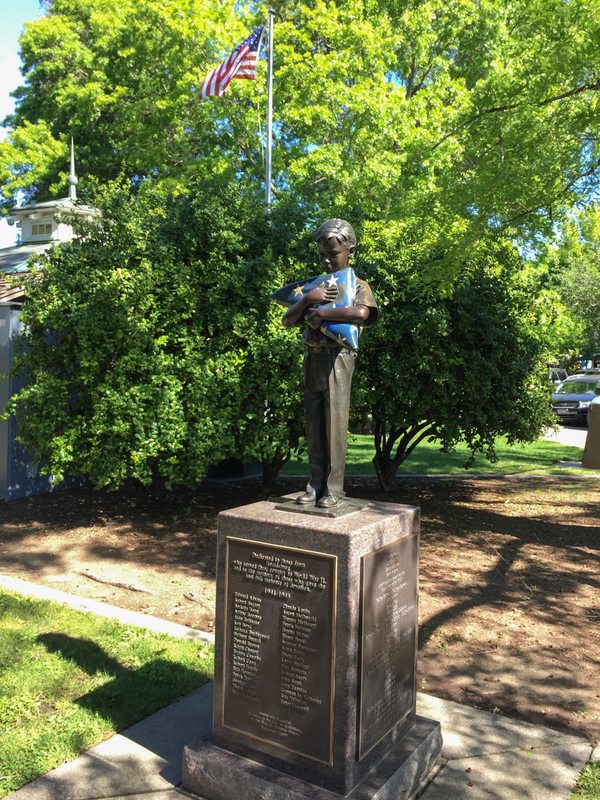 Two wineries that have become synonymous with Healdsburg are the now legendary Seghesio Family Vineyards and the Jordan Vineyard & Winery. 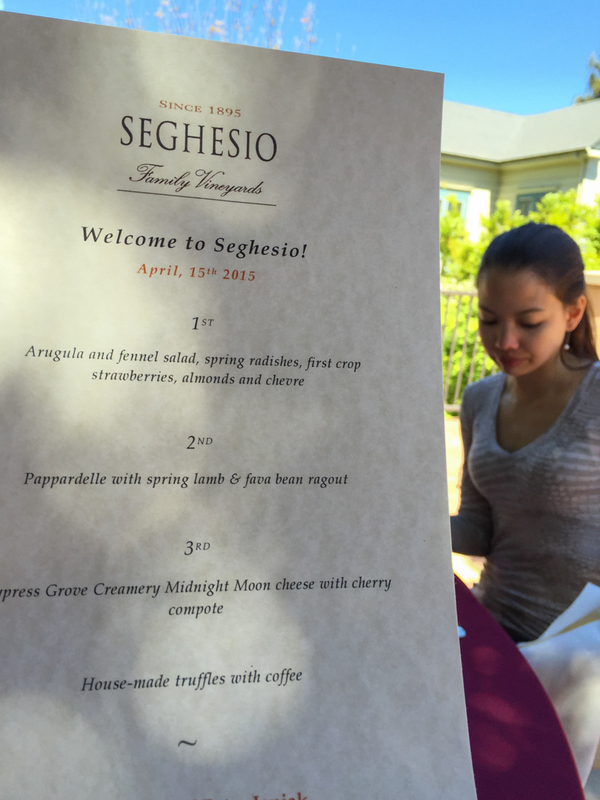 The Seghesio winery and tasting room are right in town and the hosted Family Tables program is something to experience. Every Friday through Sunday, by reservation, Seghesio serves seasonal family recipes paired with their most limited wines in a lovely setting. Our locally-sourced menu included an arugula and fennel salad with spring radishes, first crop strawberries, almonds and chèvre followed by a second course of pappardelle with spring lamb and fava bean ragout. Midnight Moon Cheese from Cypress Grove Creamery with a cherry compote, coffee and house made truffles finished the meal. Executive Chef Peter Janiak oversees the food and the serving staff is top notch and informed. 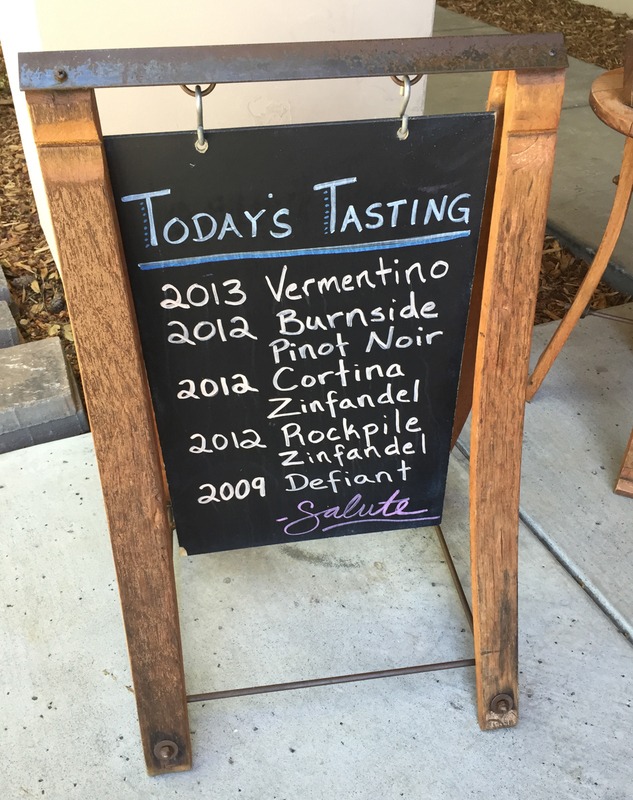 Wines paired with our courses included tastings of the 2012 Burnside Road Pinot Noir, 2005 Chianti Station, 2010 Block 8 Zinfandel, 2007 Home Ranch Petite Sirah and the famous 2009 Home Ranch Zinfandel. 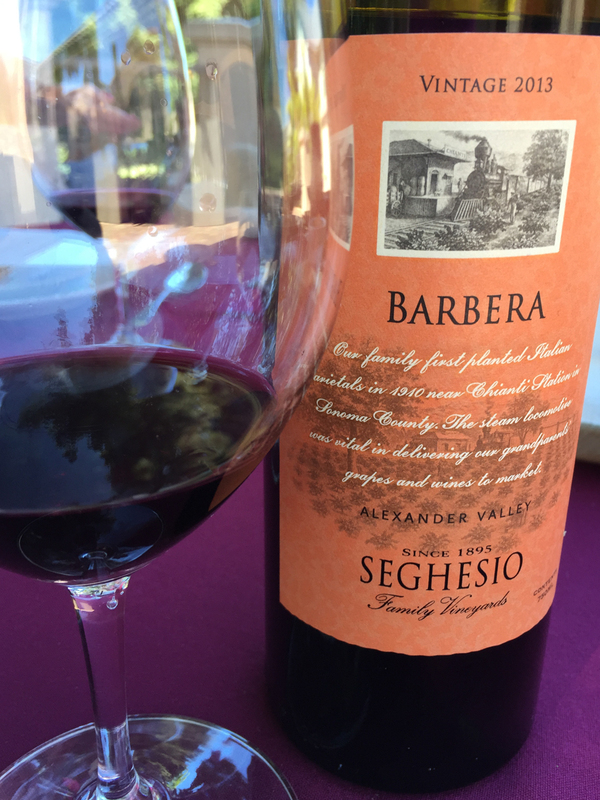 Edoardo Seghesio, who planted his first vines in the valley in 1895, would be very proud of his 4th generation winemaker, Ted Seghesio, the latest of an uninterrupted line of Seghesio family cellar masters. The beautiful Jordan Winery chateau, housing the winery, offices, elegant dining rooms, library and kitchen. Just a few minutes outside Healdsburg and up an elegant winding entrance off Alexander Valley Road sits the stunning chateau of the Jordan Vineyard and Winery. 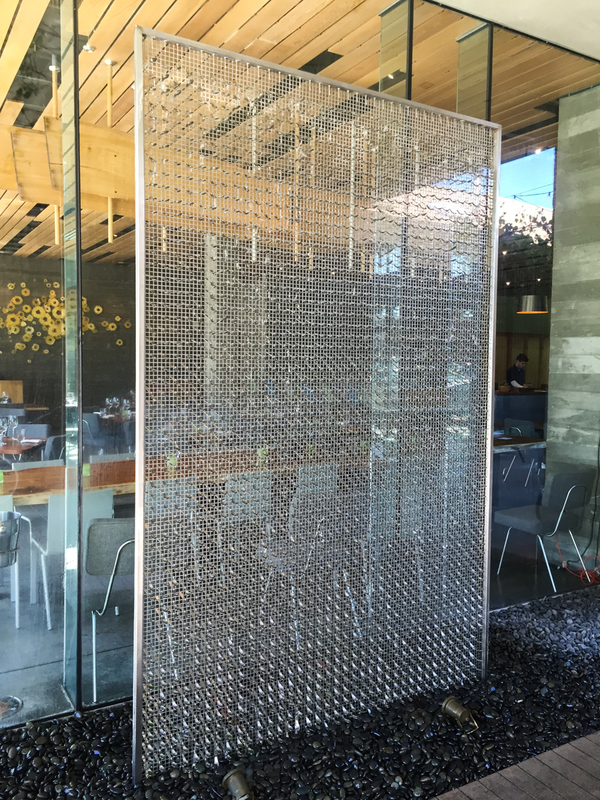 This is not some faux knockoff, but 58,000 square feet of working winery, intimate gourmet dining and living focused on the compatible crafts of winemaking, sustainable agriculture and hospitality. 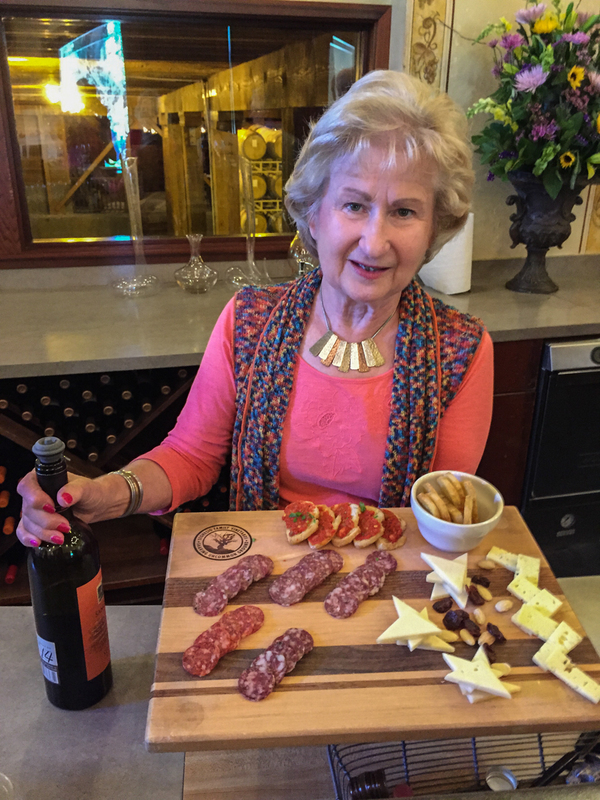 Originally the vision of Tom and Sally Jordan in the early 1970’s, the vineyards, now under the guidance of son John Jordan and long-time winemaker Rob Davis, produce only two wines: Cabernet Sauvignon and Chardonnay, in the French tradition. Year after year Jordan wines have won prestigious awards. They are regularly served at The White House and appear on the wine lists of most fine restaurants. 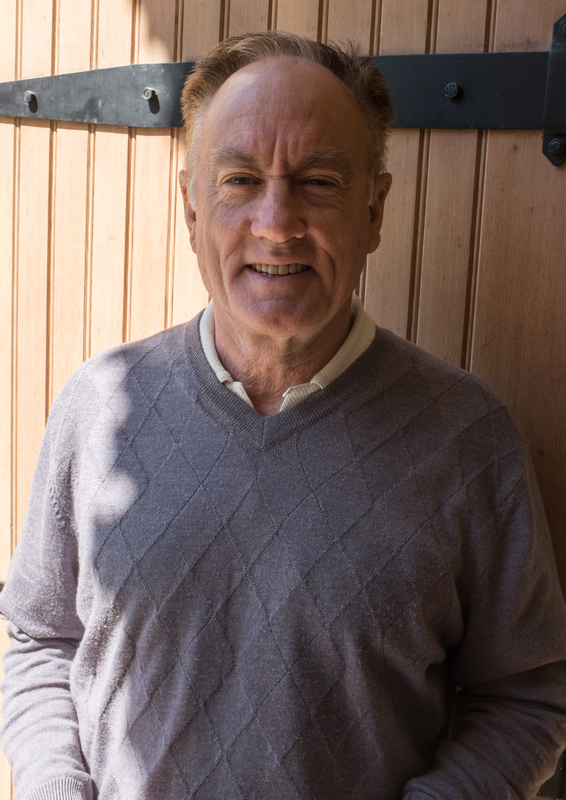 The Jordan Winery Winemaker Rob Davis, celebrated his 40th Jordan harvest in 2015. View of Mt. St. Helena from The Jordan Vineyards and Winery. 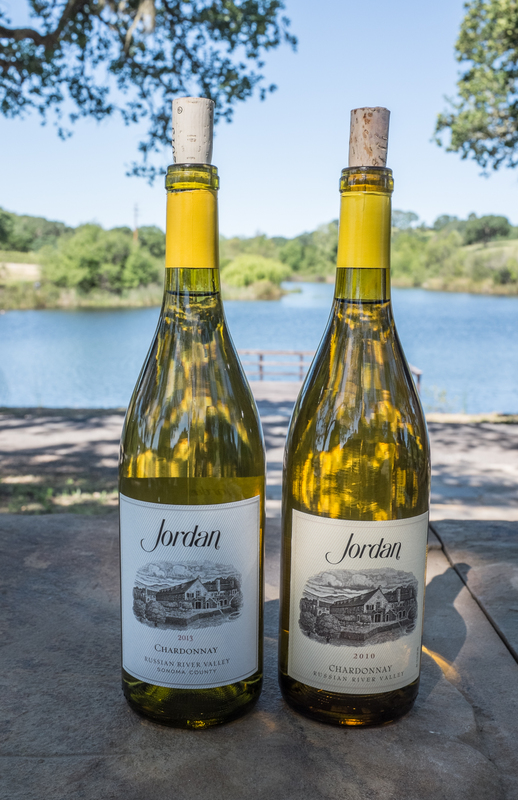 Further, John Jordan and his team have brought the winery into the 21st century by establishing a solar panel array that supplies nearly 90 percent of the entire operations electrical needs and have established a certified program of sustainable farming on the property. The Jordan Estate itself includes 112 acres of grapevines, 18 acres of olive trees (producing their own Extra Virgin Olive Oil), two lakes and a robust 1-acre garden, supplying the kitchen with organic vegetables. 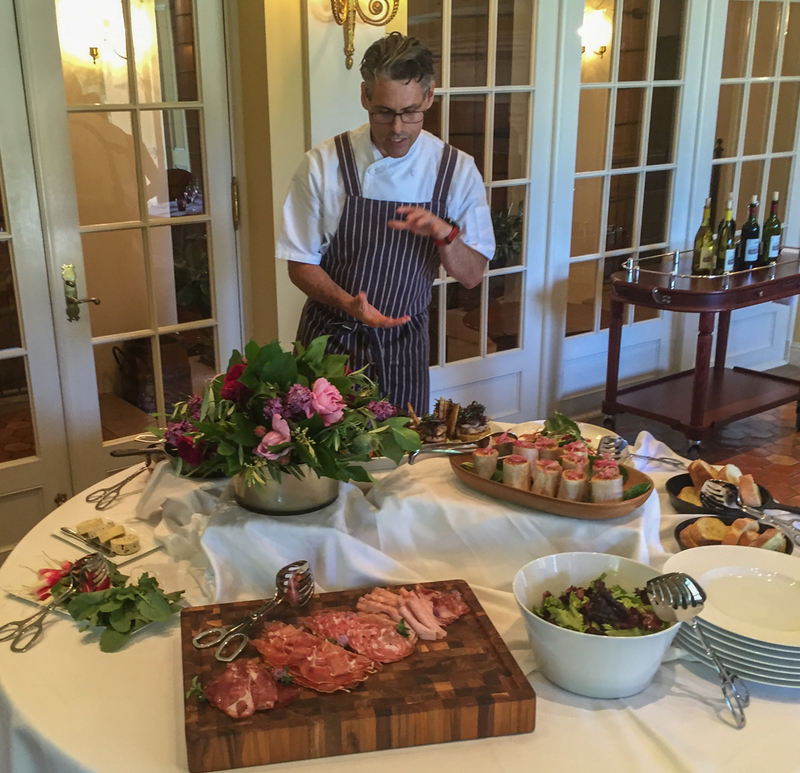 Chef Todd Knoll oversees the cuisine at Jordan Winery and his talents are evident in the dining room and on the winery and estate tours. 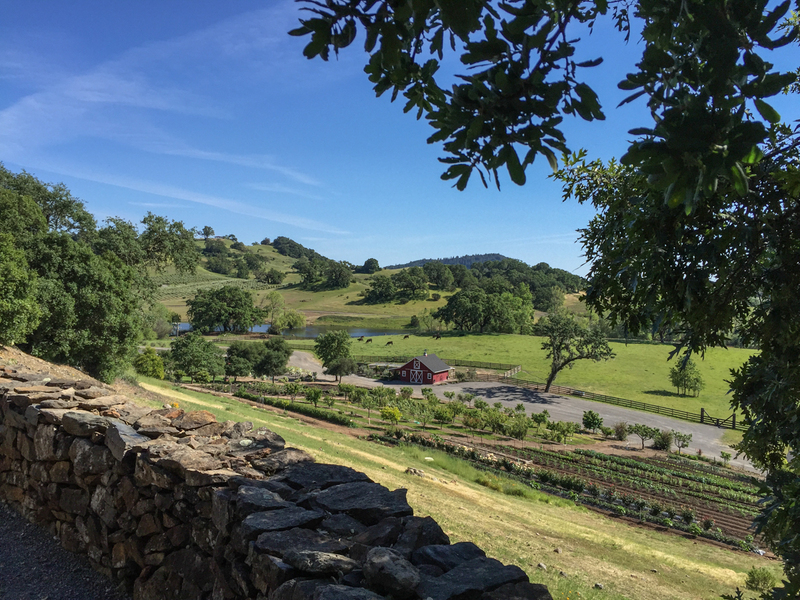 Tours range from a 90-minute walking and seated library tasting to a 3-hour estate tour to all parts of the vineyards, with its spectacular views and includes tastings and food pairings at scenic stops along the tour. Jordan Winery has also partnered with the Hotel Healdsburg to offer a Farm to Fork Culinary Journey from June through October that includes the estate tour and tasting dinner at Dry Creek Kitchen along with a 2-night stay at the hotel. Overnight stays at the magnificent chateau are part of a generous rewards program created by the winery. Chef Todd Knoll supervises all the food at the Jordan Vineyard and Winery. Chef Knoll and John Jordan have established a sustainable agriculture program that now includes both garden and livestock. 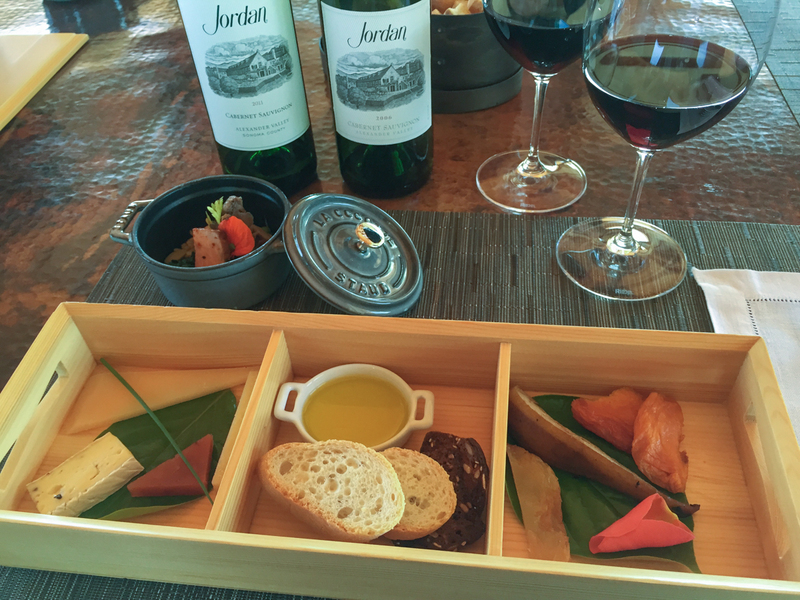 Part of a tasting featuring paired food items with Jordan Winery vintages. A view from the chateau over the garden, livestock fields with the olive orchard and vineyards beyond at Jordan Vineyard and Winery. In addition to the remarkable Farm to Table meal we enjoyed at Charlie Palmer’s Dry Creek Kitchen (created by Executive Chef Andrew Wilson), we strolled from the Hotel Healdsburg down to Spoonbar (named for artist Ned Khan’s 2000 espresso-spoon water sculpture installation) and enjoyed artisan cocktails in the bar and a delicious locally-sourced meal by Executive Chef Louis Maldonado. 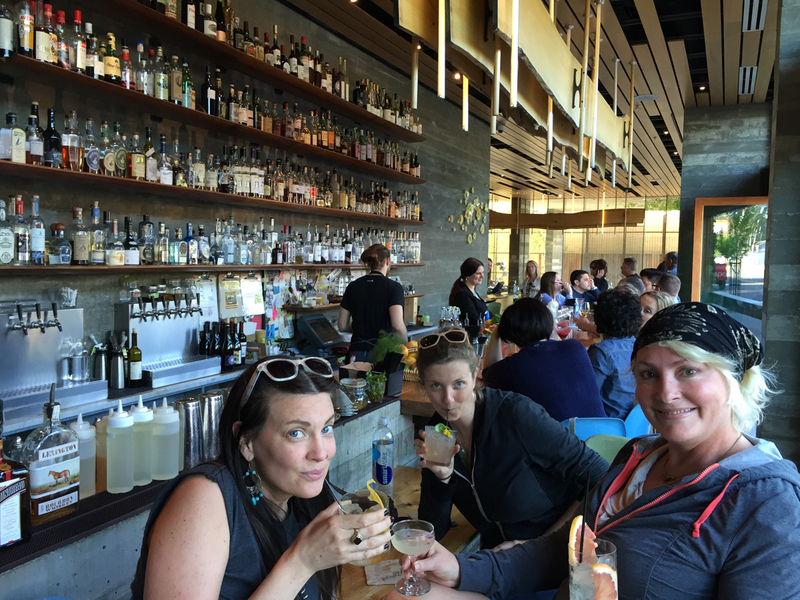 Spoon Bar is a great local watering hole (and restaurant) in the H2 Hotel, sister to the Hotel Healdsburg. 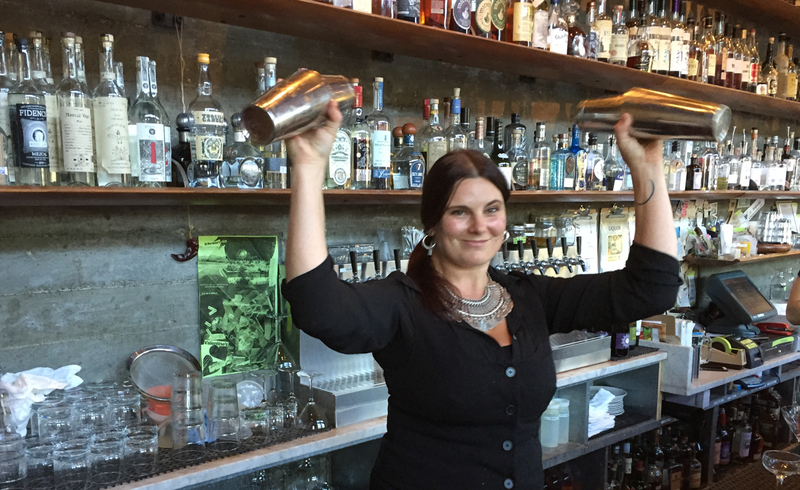 Master Mixologist Tara brings a two-fisted passion for her profession behind the plank at Healdsburg’s Spoon Bar. Spoon Bar, so named for the remarkable water sculpture made from espresso spoons. Across the street from Spoonbar is another notable restaurant called Mateo’s, with its Yucatan-influenced cuisine and al fresco dining as well as a popular Tequila Bar. 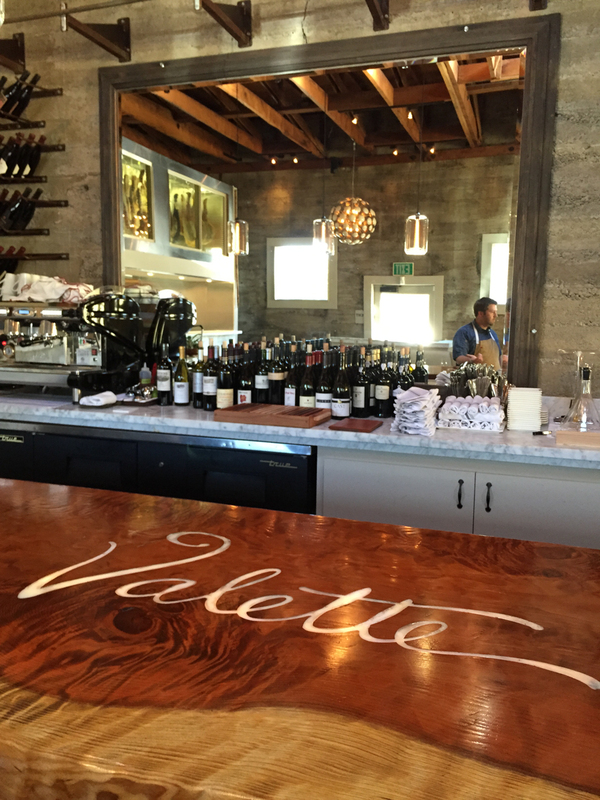 We also got a chance to sample the great menu at Healdsburg newest eatery, Valette, a gorgeous place run by Chef Dustin Valette and his brother Aaron. The one piece salvaged California redwood bar is dazzling. Across the street from Valette is a great tapas and cocktail bar called Bravas which, like Spoonbar, is a popular social hub. 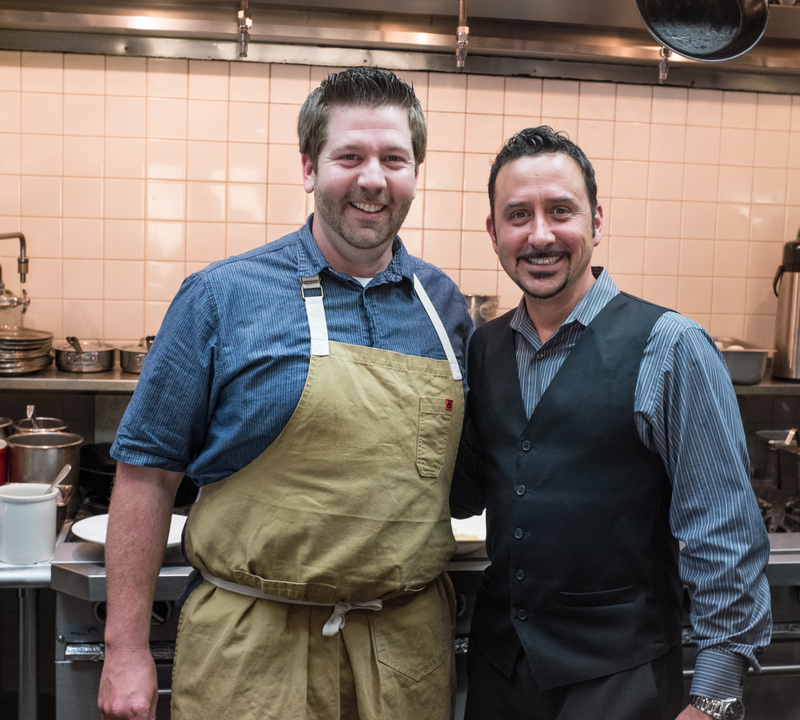 Dustin Valette and his brother Aaron run the kitchen and front of the house at their terrific new Healdsburg eatery. The solid plank of California Redwood that forms the bar at Valette was rescued from a shed out on the Northern California coast. 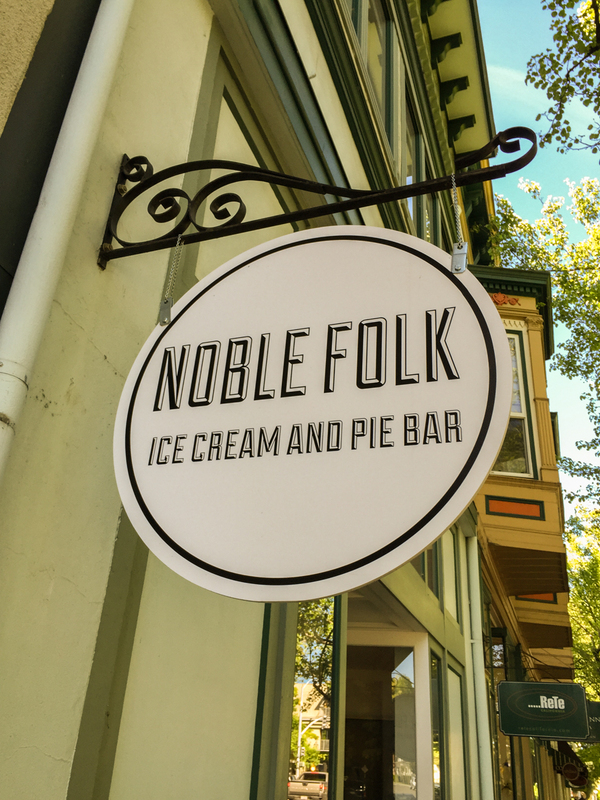 As you can tell, you’re not going to go hungry or thirsty in today’s Healdsburg, and we barely scratched the surface here. It is a peaceful town with the Russian River nearby. Alaska Airlines flies direct to the nearby Santa Rosa Airport. World-class wineries and food set in the extraordinary northern Sonoma Valley is a recipe for an excellent getaway.